This one is for my Texas Master Naturalist friends. 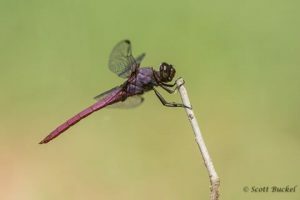 Even though dragonflies are beautiful, I haven’t spent much time trying to photograph them. There are quite a few different species. Many of them, like this Roseate Skimmer, are very colorful. I think this one is male. This was one of the first times that I ever spent any time trying to photograph a dragonfly.